DUNNELLON IS GROWING AT A FAST PACE. THIS IS A GREAT OPPORTUNITY TO OWN OR RENT A STRATEGICALLY LOCATED BUSINESS PROPERTY IN THE HEART OF THE BUSINESS DISTRICT ON SW HIGHWAY 484. THE 2760 SQ FT OPEN INTERIOR BUILDING IS ADAPTIBLE TO ALMOST ANY TYPE OF RETAIL OR OFFICE OPORTUNITIES. PARKING LOT IS ASPHAULT WITH 9 PARKING SPACES, ONE OF WHICH IS HANDICAP DESIGNATED, MARQUEE SIGN, COVERED AND RAILED FRONT FULL WIDTH ENTRY, SECURITY DOORS, COVERED AND FENCED CARPORT/STORAGE, LARGE SHOWCASE FRONT WINDOWS FRAMED FOR SHUTTERS, ALARM SYSTEM, AND BACKS UP AGAINST ''ERNIE MILLS PARK'' WHICH HOSTS COUNTLESS ARRAY OF COMMUNITY EVENTS. THE BACK OF THE BUILDING PROUDLY DISPLAYS THE ''DEFENDERS OF FREEDOM'' MURAL. 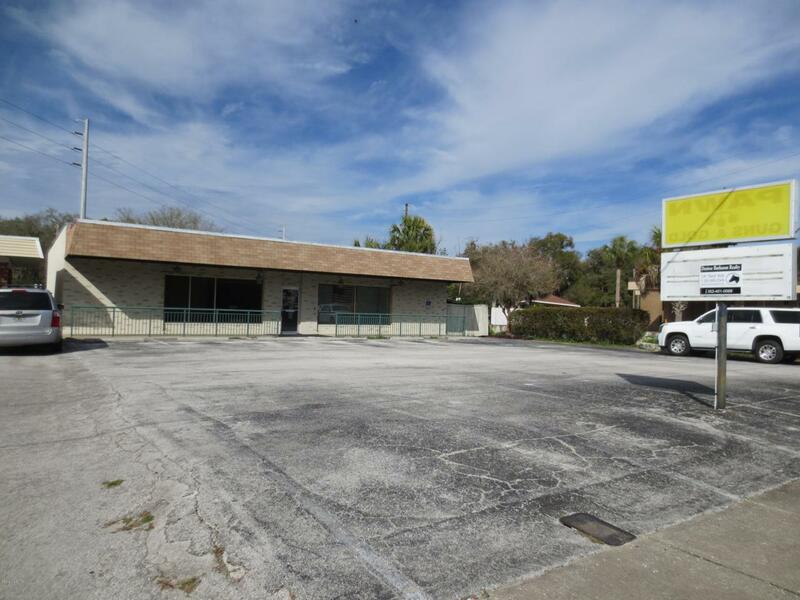 THIS IS A ONCE IN A LIFETIME CHANCE TO OBTAIN A PRIME DUNNELLON BUSINESS LOCATION. Listing provided courtesy of Irapaul Rulla of Desiree Barbazon Realty.